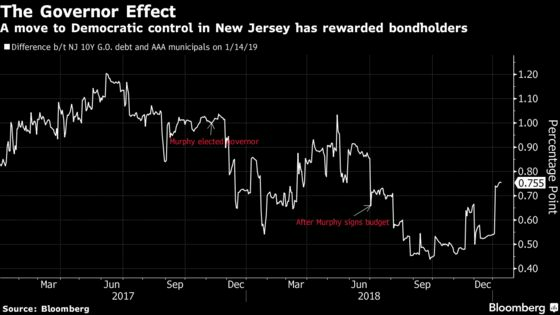 (Bloomberg) -- Governor Phil Murphy said he and legislative leaders have “made great progress” in recent days on raising New Jersey’s minimum wage and he promised suffering commuters that mass-transit investments are on the way. Addressing legislators in Trenton for his first State of the State speech, Murphy, citing a state comptroller’s audit released last week, faulted an $11 billion tax-incentive program that “spectacularly failed” while New Jersey scrambles for annual budget needs. He re-committed to enacting a progressive agenda, including more government spending to strengthen the middle class, and to fending off Republican President Donald Trump’s social and tax priorities. New Jersey is among the states attempting to circumvent Trump’s $10,000 state and local property tax deduction limit by allowing the levies as charitable deductions. “I’m fighting to give every child and every family in New Jersey the same opportunities I had growing up in a tight-knit working class family, and I won’t stop fighting until they do,” said Murphy, a Democrat and retired Goldman Sachs Group Inc. senior director, according to prepared remarks distributed by his office before the speech. He called for a $15 minimum wage, to benefit more than 1 million families -- an argument he’s made before to lawmakers and business leaders who say it’s unaffordable. The state minimum on Jan. 1 rose to $8.85 per hour. He gave no hint on movement toward legalized recreational marijuana, another major campaign promise thwarted by lawmakers in his first year. Though fellow Democrats who control the legislature are on board with making New Jersey the first New York City-area state to allow pot sales, passage has been delayed by taxation and regulation disagreements. Murphy cited 19,000 new jobs in Massachusetts, and $2.4 billion in annual economic impact in Colorado, states that have legalized, and touted the potential for New Jersey’s low-level drug convicts to clear their records. 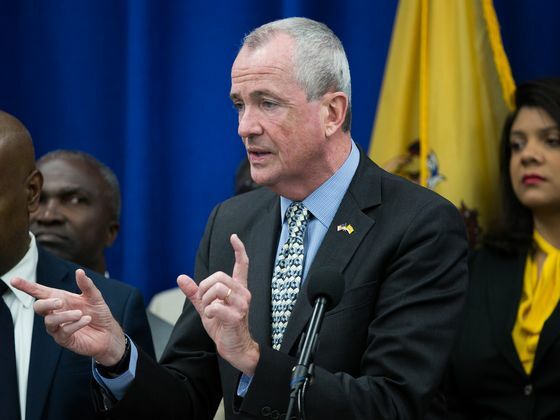 Murphy didn’t explicitly call for higher taxes, after he told reporters in December that “everything is on the table” for his fiscal 2020 budget, which he will introduce next month. On his list of achievements, he cited a tax on annual incomes of at least $5 million, even though that new levy represented a victory by lawmakers who rejected his $1 million threshold. To the more than 900,000 commuters who use NJ Transit every weekday, he pledged continued focus on a better customer experience, with newly hired bus drivers and rail engineers, whose ranks thinned during eight years of budget starvation. At his budget address, he said, he will specify mass-transit investments. In the year since Murphy replaced the term-limited Republican Chris Christie, New Jersey has enacted 169 laws -- the most of any first-year administration in more than 20 years, he said. In a state with the nation’s highest property taxes, the annual increase in 2018 was lowest on record, while his administration increased state aid to local school districts, he said. Unemployment hit lowest since 2001, he said, and from January-November, private industry added 50,000 jobs.